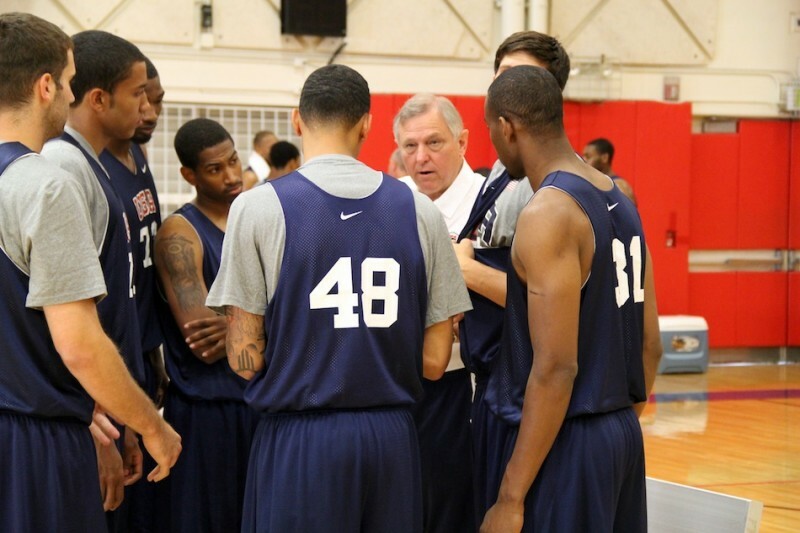 An article on today’s Stacey Page Online news site reports on the experiences of Grace College basketball coach, Jim Kessler, as he worked with the 2013 USA Basketball Men’s World University Games Training Camp in Colorado Springs. A portion of the story appears below. Click here to read the complete article. WINONA LAKE – Jim Kessler boasts one impressive basketball coaching resume. The longtime Grace College men’s hoops mentor now has another noteworthy accomplishment to add to his lengthy list of achievements in the sport. Kessler just returned from spending several days as a court coach at the 2013 USA Basketball Men’s World University Games Training Camp in Colorado Springs. “It was just a terrific, positive experience for me,” said Kessler in a phone interview this morning. “It was humbling to be around that collection of great athletes and coaches. Kessler, who has had a remarkable 36-year run at Grace, was the lone NAIA coach invited. The three court coaches were Kessler, Tad Boyle of Colorado and Matt Matheny of Elon. Bob McKilop of Davidson will serve as head coach of the team, while John Beilein of Michigan and Frank Martin of South Carolina will serve as assistant coaches.